Duco made an important contribution to the design of the XL Boom corporate building with its architectural solar shading system. 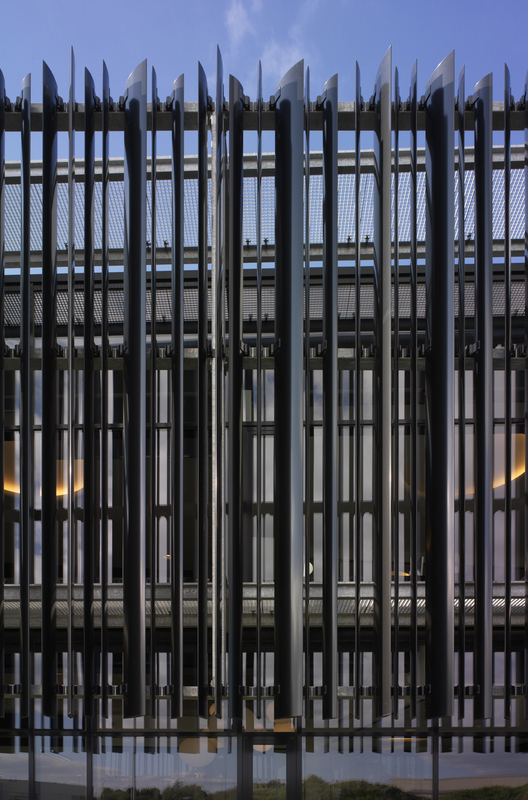 The DucoSun Ellips was positioned vertically in front of the façade using different dimensions and this creates the impression of a bar code. 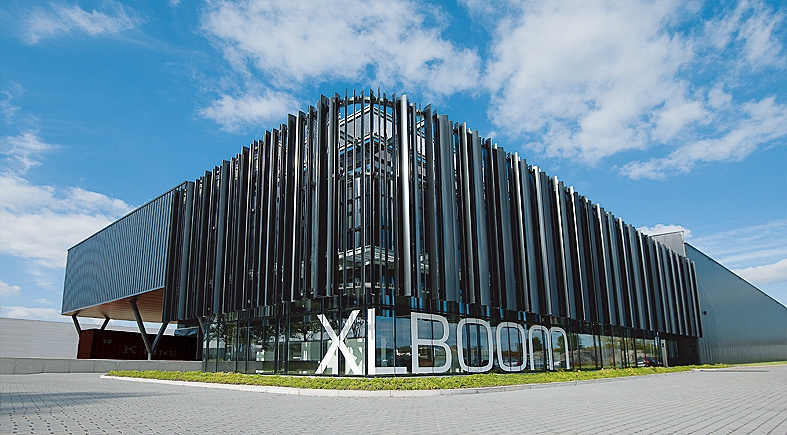 XL Boom, a company that develops, produces and distributes contemporary living accessories, choose an eye-catching design for its new corporate building. Together with BOfA-architects, a decision was taken about which requirements had to be met by the building. Since XL Boom pays much attention to design, a modern check became inextricably linked with the design. A timeless black building was selected and the play of light and air give the building an open character. The natural illumination angle and the good insulation ensure the building is sustainable, but this also means that sufficient attention must also be paid to the indoor climate and the avoidance of overheating. 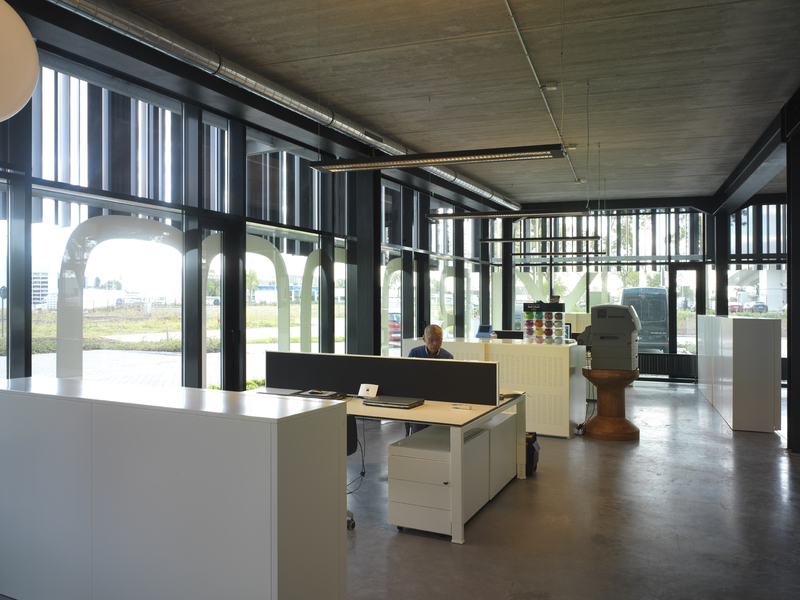 Duco made a double contribution with its architectural solar shading system: it made a functional and an aesthetic contribution. The DucoSun Ellips with, as the name already infers, its ellipse-shaped blades was installed in front of the façade vertically using different sizes (150, 200 and 300). 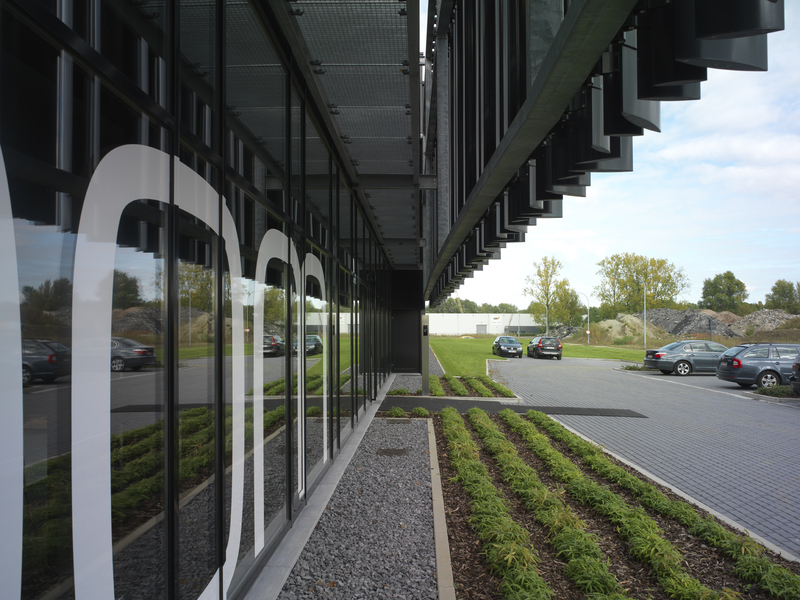 A playful effect is created because different sizes were used and the façade is a true visual eye catcher. The design was inspired by the design of a bar code. Using an architectural solar shading system does not just provide aesthetic additional value. 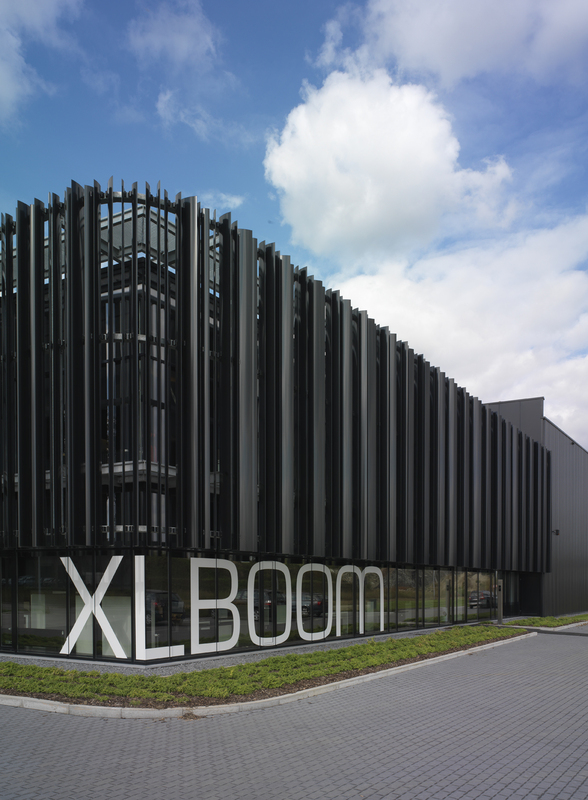 Ever more often, façades are built in glass in modern architecture as is the case with XL Boom. This, however, may also mean that the indoor temperature can rise considerably during hot summer months. The rays of the sun will not be given a chance to heat up the indoor space by using a solar shading system. Duco will counteract the heating of the building in this way in a natural and energy efficient manner and can reduce the cooling load to 30%. 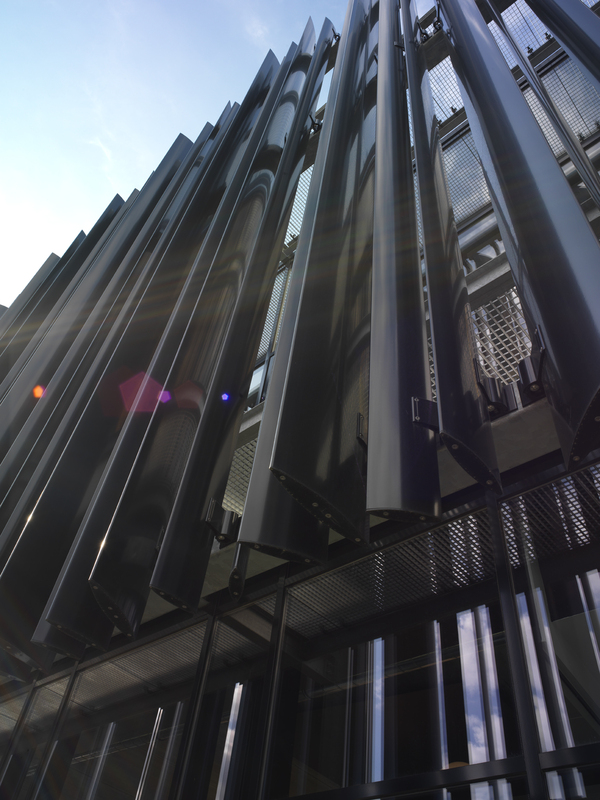 Architectural solar shading system is, therefore, functional AND aesthetic at the same time!